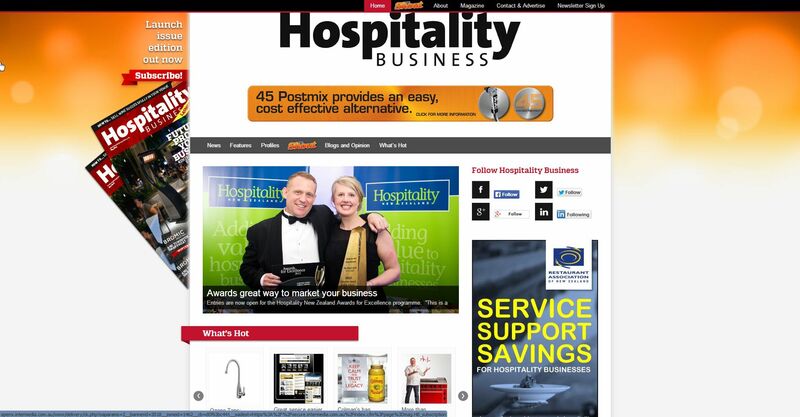 Hospitality Business is New Zealand’s independent source of news, insight, business advice and opinion for the hospitality and liquor sectors. With a circulation of more than 8,000 key decision makers, Hospitality Business provides its readers with all the information they need to grow their businesses and run their operations more effectively. The hospitality market is one of the best-performing sectors of New Zealand’s economy, worth an estimated $18bn annually and growing fast – and Hospitality Business aims to help readers take advantage of the opportunities and keep abreast of the challenges the sector throws up. With news analysis, comment from industry experts, case studies and coverage of all the latest trends, the title is a one-stop shop for those wishing to retain a competitive edge in this fast-moving industry. The publication incorporates TheShout, which is devoted to New Zealand’s liquor sector. Edited by industry guru Don Kavanagh and featuring product news, industry opinion and in-depth profiles, TheShout is an incisive blend of product news, industry opinion and in-depth features. It’s essential reading for all those involved in the business of selling liquor. Published 11 times a year in print, Hospitality Business also comprises a weekly newsletter delivered online, along with a comprehensive website.